Please call us at 850-416-0020 if you don't see the appointment type or availability you are looking for. Dr. Sonja Whitaker received her medical degree from the Medical University of Luebeck in Germany and her doctorate degree from the University of Louisville Health Sciences. She completed her three-year residency training in family medicine at Naval Hospital Pensacola. 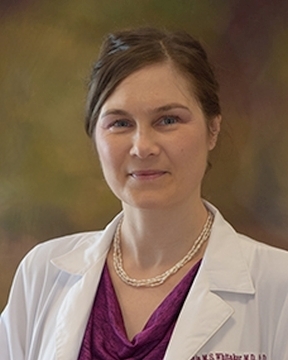 Dr. Whitaker has a passion for ... Read More academic medicine including molecular biology and genetic epidemiology both of which she has articles published in scientific journals. As the Senior Medical Officer at the Naval Branch Health Clinic Belle Chasse in New Orleans, she broadened her expertise in differential diagnoses of complex pathologies. She is a board-certified family medicine physician. Dr. Whitaker enjoys serving on humanitarian mission trips when she has time. She also enjoys college basketball and professional fantasy football. Dr. Whitaker likes to spend time with her husband and their four children. She served in the United States Navy and earned the Navy Achievement Medal which is awarded for outstanding achievement or meritorious service.